Kent Machine, Inc. Incorporated is an experienced designer and builder of test and inspection gauges. We are a "one-stop-shop" for quick-turnaround custom gauges built to stringent ISO 17025 standards. Our turnkey gauges can be confidently built entirely in-house, including material heat treating. 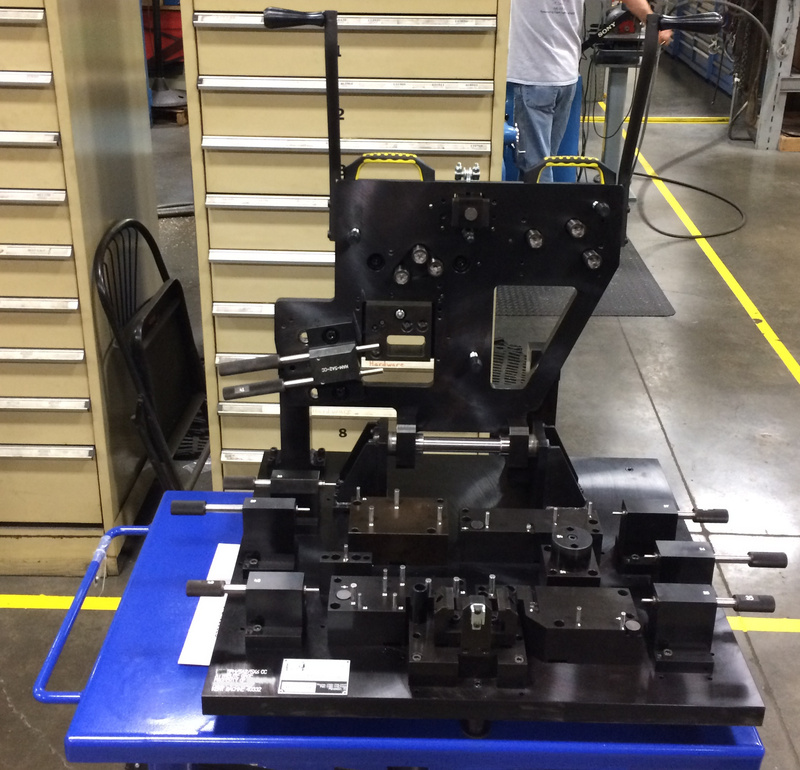 This allows Kent Machine to reduce gauge building lead times for complex custom precision gauges built to the most stringent requirements for the Orthopedic, Medical, Aerospace, Automotive Engine and Transmission, and Off-Road Vehicle industries. Gauges designed and built by Kent Machine include hand gauges such as: flush pin, step, plug, form and spline. 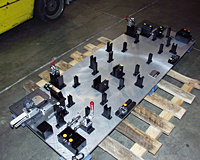 We also design and build fixture gauges to inspect feature locations and size. Customers depend on Kent Machine's high quality standards and excellent service. Kent Machine surpasses the competition by offering these precision services while meeting, and often exceeding the strictest deadlines for their customers. Kent Machine's online value added services also offer options for ordering and quoting. For additional information or for your personal consultation regarding your component or product please select the "RFI" request information selection button to begin your communication. Lead Times At Kent Machine, Inc., our unique and efficient job flow process allows us to minimize lead times down to 24hrs compared with other custom gauge designers that turn around gauges and in-process checking fixtures in 2-3 days minimum. This is a significant advantage for turnaround of repairs so that our customers keep their manufacturing downtime to a minimum in cases where production functional gauges break, fail, or fall out of calibration. Specialty Capabilities Kent Machine Inc. has in-house specialty Heat Treating and Cryogenic Freeze capabilities to insure the quickest turnaround, highest quality, and dimensional consistency for your gauging and checking equipment needs. Our on-site Cryogenic Freeze cycle in (-270°F) Liquid Nitrogen (HT>Draw>Freeze>Draw) stabilizes and stress relieves the material's molecular structure for maintaining dimensional consistency during the final grinding process, likewise assuring only the tightest tolerances and finest surface finishes for the most precise gauges and inspection fixtures. KMI also specializes in gauge repair and calibration. Many shops will perform gauge design, build and repair. But few will also perform the calibration and validation in-house. This means Kent Machine Inc. is also a one stop shop for gauge repair (including subsequent calibration). This reduces lead times and increases confidence that the gauge will be repaired quickly and correctly, the first time. Design Capabilities High Quality Assembly, Test and Inspection Machines, Gauges or Workholding Fixtures start with the highest level of design programs and experience. One full time designer on staff with 25 years of experience. Providing error-free products and extraordinary service. Relying on the professional competence of a highly skilled workforce. Implementing advanced laboratory quality management systems and practices. Advantages Kent Machine Inc. is a one-stop, quick-turnaround shop for gauge, machine and fixture design, build and calibration. We design, fabricate, build, calibrate and test our custom gauges and inspection equipment so you can confidently use them in production immediately upon receipt of your order.